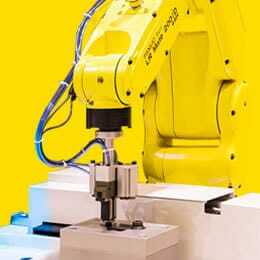 FANUC is the world's leading supplier of automation for manufacturing including robotics, CNCs and Motion Control, and ROBOMACHINE machining centers. With more than 100 models and over 540,000 robots installed worldwide, FANUC offers the widest range of industrial robots in the world, ranging from 0.5kg-2300kg in payload for any application or industry. Available in three models - short, standard and long bed - FANUC ROBODRILL high-speed, high-precision machining center with FANUC standard CNC installed addresses all machining needs for its class. We're here to help solve your manufacturing challenges and find the right automation solution and meet production goals. Contact us today to speak with a knowledgeable FANUC Representative. FANUC's products provide world-renowned reliability, quality, speed and precision. 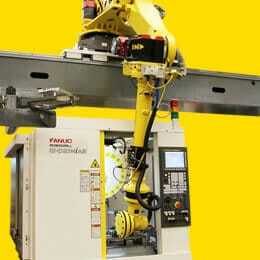 Industrial Robots - With more than 100 models, FANUC offers the widest range of industrial robots in the world. Covering a diverse range of applications and industries, FANUC robots are easy to operate and provide complete flexibility thanks to a range of application-specific options, straightforward integration, and payloads up to 2,300kg. 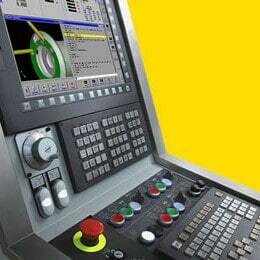 CNC & Motion Control - Boasting the widest range of CNC systems in the industry, FANUC provides everything you will ever need for your CNC – from best value controls with powerful functionality to high-performance control systems for complex machines. Controls, motors and amplifiers, cables and connectors come in easy-to-install packages tailored to your specific needs. Quick to program and easy to use, they guarantee maximum quality and short cycle times. ROBOMACHINE - The new generation ROBODRILL vertical machining center promises unrivaled quality and precision at great hourly rates. With an unbeatable tool change time of 0.7 seconds and a turret capable of handling tools weighing 4 kg, the new advanced versions are both the fastest and strongest 5-axis CNC machines on the market. Advanced or standard, every ROBODRILL vertical machining center is a real high-speed all-rounder, offering incredible performance and unbeatable efficiency.